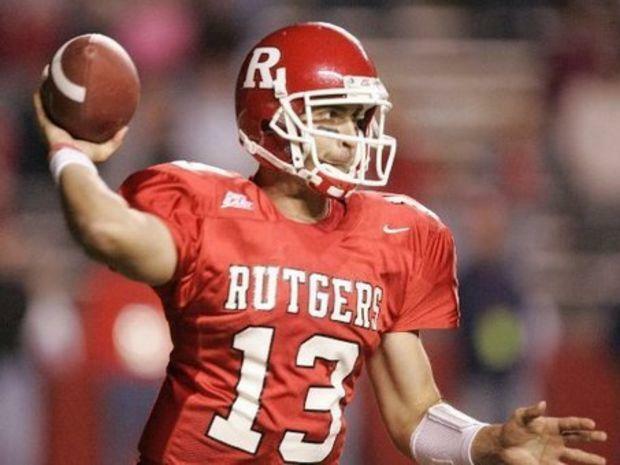 Former Rutgers quarterback Ryan Hart won his appeal in an ongoing lawsuit against EA Sports regarding the unauthorized use of his likeness in the NCAA Football series of games earlier this week, according to Kotaku. Hart’s victory comes after a Federal District Court judge dismissed his suit in 2011, ruling that EA has a First Amendment right to depict college football players. Hart appealed the ruling to the 3rd Circuit Court of Appeals, and the three-judge panel sided with the former quarterback in a 2-1 decision, ruling that “[t]he various digitized sights and sounds in the video game do not alter or transform the appelant’s identity in a significant way,” according to Judge Joseph Greenaway. The legalities of depicting NCAA players in a for-profit manner are murky at best, and this case may help to create a new precedent. Former Nebraska and Arizona State quarterback Samuel Keller is at the Federal Appeal level in a different district with an identical complaint. Keller’s case was already combined with that of former UCLA player Ed O’Bannon, who seeks to make it a class action suit. According to NCAA rules, a player cannot profit off of their athletic performance. Even the action of selling personal memorabilia is prohibited, as former Ohio State quarterback Terrelle Pryor and four of his teammates found out in 2010, leading to a five game suspension. While the players themselves are prohibited from receiving any compensation, the schools and other companies with license rights to NCAA football are not. Companies can sell the jerseys of any player they wish as long as that player’s name is not on the jersey, because that player would then be legally entitled to receive some of the revenue from that sale, a violation of NCAA rules. The same is true of EA Sports’ NCAA Football game series. NFL Players negotiate for fees through the Players Association, but the NCAA players cannot. Hart, who played for Rutgers from 2002-2005, claims that EA Sports used his likeness down to his actual football skills, his physical appearance, his stats, and even his background information. Hart’s lawyers claimed that EA essentially stole the likeness of Hart and other college football players for profit. EA insists that the use of the players is done in such a way to create an “expressive transformation,” which would give them protection under the First Amendment. The arguments are not far removed from those EA is currently using in defense of its decision to no longer pay license fees to gun manufacturers in order to feature real weapons in games, as that too is protected under the First Amendment. The case will now be sent back to the District Court level for another hearing. If successful, these cases could have a significant impact both on the way the NCAA treats its players and on the future of college football video games.